Vous débutez votre journée de ski au Châble? Récupérez vos forfaits à l'hotel Üna Lodge, situé en face des remontées mécaniques du Châble. Récupérez votre matériel de ski aux Ruinettes, notre magasin sur le pistes accessible directement depuis Le Châble. Bypass Verbier and it’s prices. Book online and collect your ski pass in Le Châble and your ski hire at Les Ruinettes. Whether you are staying in La Châble, the Val de Bagnes or arriving by train from Martigny, our unique setup allows you to avoid the ski pass queues, avoid the Verbier prices and avoid lugging your ski gear around. Simply book your ski pass and skis online, pickup your pass in Le Châble, use it to head to Les Ruinettes with the cable car and completely bypass Verbier. Once up there, collect your skis at our mountain-top top shop, Ski Service Les Ruinettes, located right on the slopes. Conditions on the mountain can change daily, as can your needs. 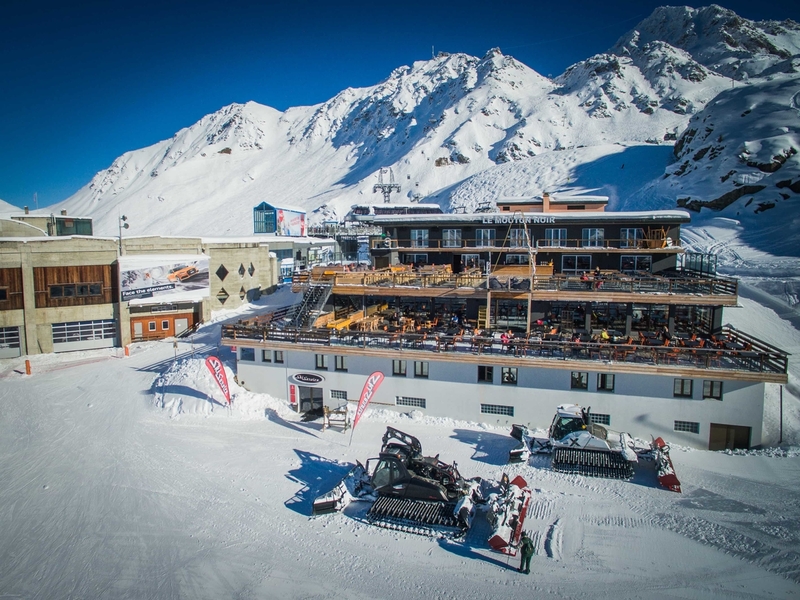 Therefore, you can swap any of your kit right on the slopes at Les Ruinettes, saving you a trip down to the village. Our staff can advise you on what skis will be best for the snow conditions each day so why not exchange your skis, boots and more for free at Ski Service Les Ruinettes. Request specific models or let us know which skis you enjoyed last year to ensure you have the right gear this season. Having direct contact with the point of rental means it is easy to check with us what models and brands we have. Also, we know that plans can change, that’s why we offer complete flexibility with our cancellation guarantee. Once you have booked you are free to make any changes. As a Ski Service customer, there is no need to carry all of your gear around town. You can store your skis and boots overnight, free of charge, at Ski Service Les Ruinettes. We will heat and dry your boots and have them ready for your in the morning. Why are you renting your skis in Le Châble? Save yourself money, time and hassle by collecting them right where you actually need them. Why rent in Le Châble and carry your skis and boots up and down the mountain every morning and evening or pay for storage in Verbier when you can collect your equipment up right on the slopes at Les Ruinettes and leave it up there at the end of each day for free. Walk out the shop door, clip in and ski off. This truly is convenience above all else. Convenience that cannot be matched in Verbier. After all it makes sense, pickup your skis from somewhere you can actually ski. Use our three rental shops interchangeably whenever you need them. Our shops form a rental network that you can effectively use as one big shop. Rent in one, return at another. Exchange your equipment at one, store at another. The choice is all yours. The three steps to success. Once booked online, the passes will be ready and available for you to collect just meters from the lift and train station in Le Châble, at the Üna Lodge. 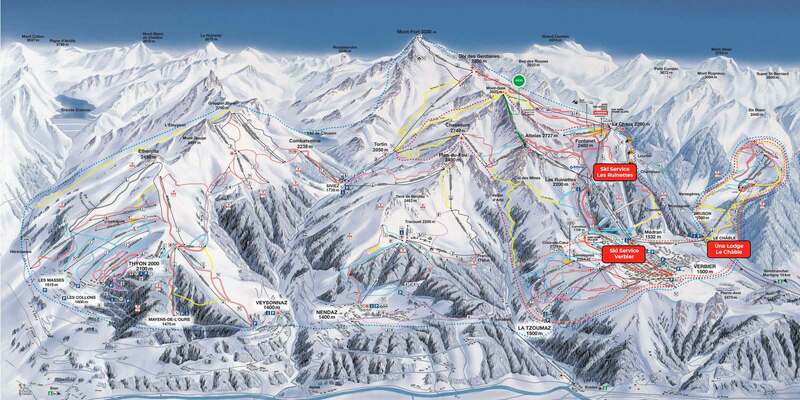 Avoid the ticket office queues and use your ski pass to head straight up to Les Ruinettes and collect your ski rental. Pay less for both your ski hire and your ski passes by booking in advance and online. With our click and collect up at Les Ruinettes we guarantee a better price for your ski hire than any ski rental option in Le Châble. To summit up, Verbier's only mountain-top shop. To get to our shop on the slopes take the lift straight up to Les Ruinettes from Le Châble and skip out Verbier completely. Pick up your ski hire there and store it all there overnight. We will have your boots dried and warm for you in the morning. Completed in Autumn 2017, this chic alpine Bed & Breakfast is situated in Le Châble’s most enviable position. A stone’s throw away from the Verbier and Bruson ski lifts and just a few minutes walk to the local shops, bars and restaurants, Üna Lodge is the perfect base from which to explore Verbier. Ski passes ordered online with us can be conveniently collected from Üna Lodge in Le Châble. The reception is open between 8-10am every morning. During this period you can avoid the usual ski pass ticket office queues, collect your lift passes at Üna and head straight up the mountain. Ski Service is Verbier's top rated ski rental shop on TripAdvisor, Google, and Trust Pilot. We work hard to ensure that each client's needs are met and that your ski holiday runs as smoothly as possible. Our staff know the mountain, and they know skis. Whether you are a beginner or a pro, we'll fit you with the skis and boots that are right for you and the conditions. Opened in the early 1970's and locally owned ever since, Ski Service is at the heart of Verbier.